Do you know the quote “happy wife , happy life”? Well I’m here tell you they missed a part.. Happy baby, happy wife and happy wife mean a happy life. Makes alot more sense now right?! It’s amazing that such a small person has so much handle in our lives, but babies rule the world. Without talking the make us listen. Without lifting a finger they got us in wrap around that same little finger. Without even taking their first breath they take ours away. So you see, they do run the world! But the amount of happiness these tiny humans bring us is extraordinary and that’s why I’m excited to partner with Gerber® Good Start® to bring you our formula for happiness. When Bella was a baby there are a few thing that helped us and that still help us today as my sweet girl moves from baby to toddler. Babies are unpredictable and always changing so you will have to see what works for you and tweak it a few times. For us naps are necessary and always a must. Bella needed to nap 2-3 per day as a baby, then switch to 2 times a day and once she was 15 months we went down to 1 nap a day. Now my 18 month old needs again 2 naps to have a good day! Doctors say that sleeping allows our kids to grown and it nourishes their body in many ways and this mama needs them too. Sometimes we think that since our kids are little that playtime is not as necessary but on the contrary is what helps them grow. We started playing with Bella when she was 6 weeks. We played on her mat, played music and exercise her little body and by 5 months she was crawling. Needless to say Bella has always been super active and by 9 months we had a walker and has been none stop ever since then. If you ever thought that being a new mom is an adventure try finding good, and nourishing food. Whether breastfeeding or formula feeding you as the parent know best and as a consumer your opinions matter. 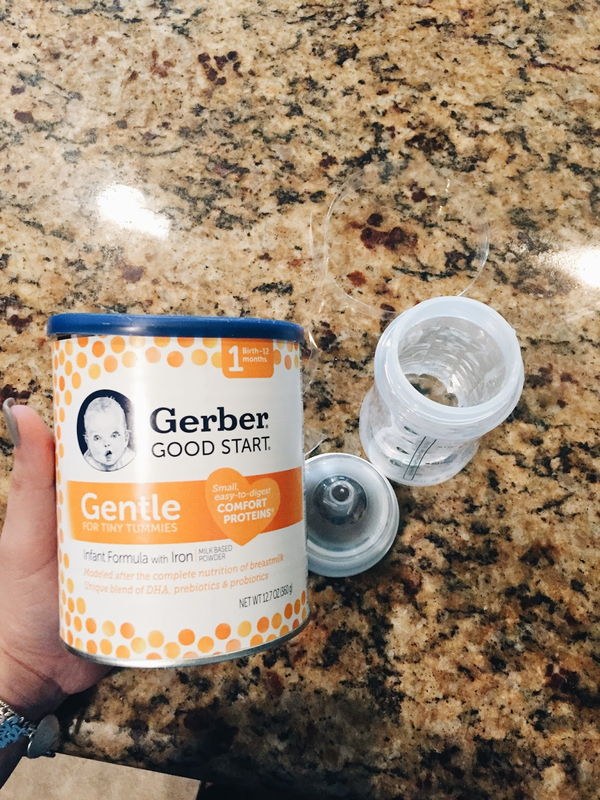 For years parents have asked the big companies to provide formulas with better ingredients and Gerber® Good Start® had done just that by providing us with a non-GMO’s formula. As a mom nothing makes me happier that when my daughter and my needs are met. 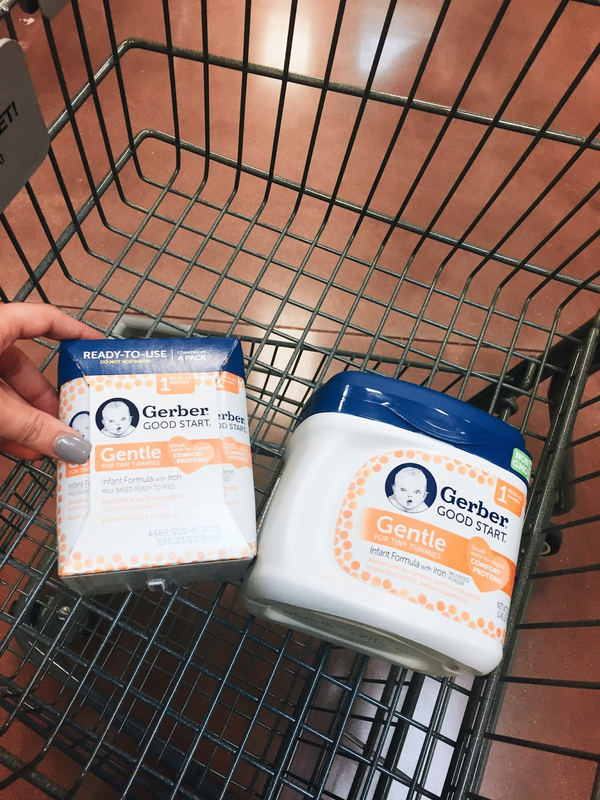 When Bella was baby we mixed formula and breast milk and now as a toddler we still go to Gerber® for many of our needs. Including Yogurt drops, Puffs and Gerber® Good Start® toddler formula for those long days when her teeth have bothered her too much or simply she was too picky and decided not to eat. This is our formula for a happy baby! What is your #Formulaforhappiness? Click here to know more about Gerber® Good Start® Formula and to share more #happiness here is a coupon just for you! Gerber has come a long way since my kids were little. thanksfor sharing your cutie! Yes and always for the better! My kids are 7 and 9 and a good sleep and nutritious eats still makes all the difference in the world! Totally! It throws our day bonkers if we don't take a nap!Thanks for commenting! I used Gerber products when mine were little. They are trusted and the best. Naps are essential. I wish I could do it more as an adult! Thanks for the tips! Thanks for reading! right I wish I could nap too! We're a Gerber loving family over here! Such great products! 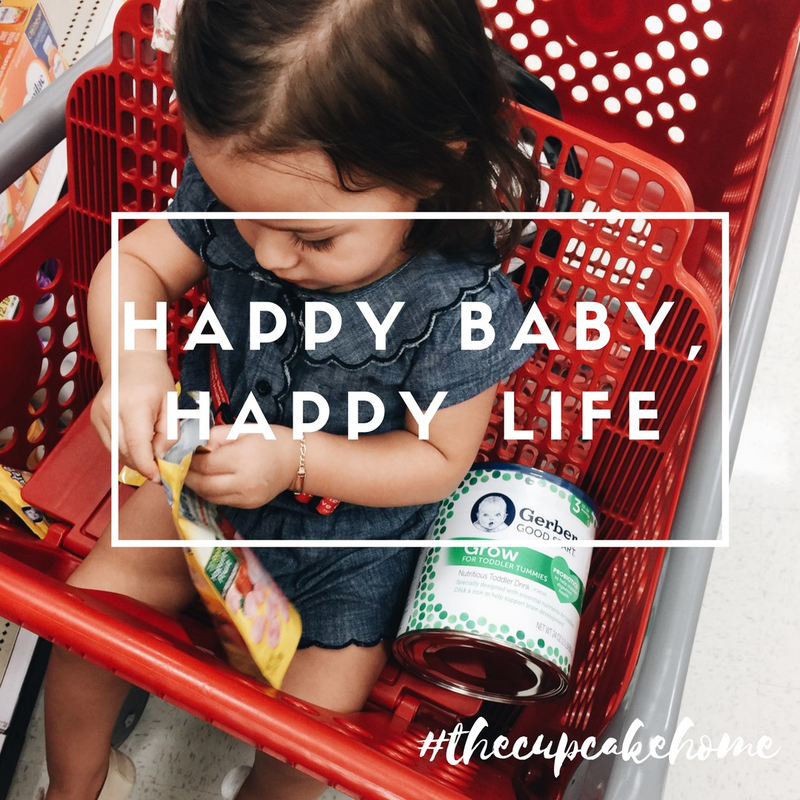 Happy baby is definitely essential to a happy wife and life! I love how you wrote this! Babies really do run your world. I plan my whole day around what kind of mood I think she will be in! Buying an Older Home and the Products that make it easier!